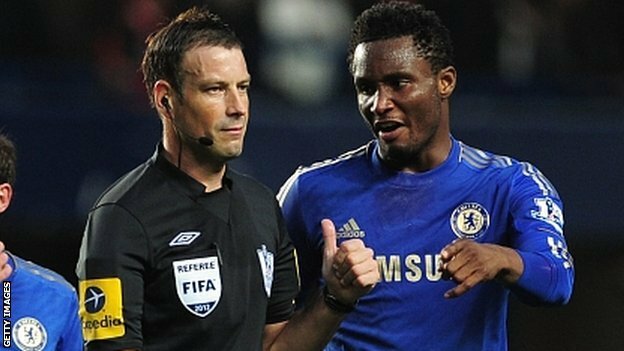 There are indications that Chelsea Football Club midfielder, Obi Mikel is on his way out of Stanford Bridge as he has intensified efforts to secure a new club where he will be playing regularly. Technical Adviser for the Super Eagles, Genort Rohr has advised Super Eagles captain, John Obi Mikel to leave the Blues where he is not playing regulalry. The Franco-German tactician confirmed that Mikel is to leave Chelsea Football Club in January having been frozen out by Coach Antonio Conte. “He is moving come January transfer window. He cannot stay in a club he is not playing. So he has to move,” Rohr said, adding that some Super Eagles players who are not playing at their clubs may also leave the clubs. Mr. Rohr spoke shortly after a meeting with Nike officials in London in connection with Super Eagles official kits. The meeting was also attended by NFF President, Amaju Pinnick, Mikel Obi and Eagles centre forward, Odion Ighalo, among others. Only recently, Ighalo had canvassed for Watford to sign on Mikel but the Hornets' boss Walter Mazzarri has given his verdict on calls by his Nigerian striker to bring Mikel from Chelsea to the Vicarage Road.